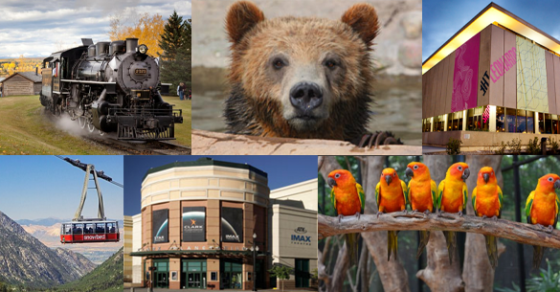 The 2019 Utah Happenings Entertainment Book for Salt Lake City, Ogden, Utah County is now available. Through 4/15, you can get a Utah Happenings Book for $10.40 plus free shipping! If you have been considering getting a book, now is the time! There are so many great coupons. This book can easily pay for itself with just one use. 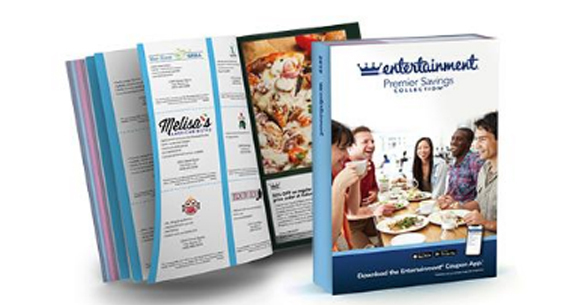 The Entertainment book gives you exclusive access to money saving options. Inside the book are many coupons for local restaurants, things to do. The book also comes with a free digital membership that allows for additional printable coupons online and app. savings while on the go! Plus, you have access to online coupons for an entire year from your purchase. No waiting for shipping. After making your purchase, register online with the special activation code they provide in your welcome email, and you can start using your book immediately. Including a second coupon for most of the activities listed above. These coupons don't expire until December of 2019! You can print them from home or use the handy app. and just show them to the merchant (note that not all merchants accept digital and printed coupons so always call ahead). Members also have the option to purchase discounted Movie Tickets. Cinemark for 20% savings and Carmike Cinemas for 45% savings. Look for the movie ticket offers on the app. IMPORTANT NOTE: Make sure after placing your order you activate your digital membership immediately. To do so, simply follow the prompts on the receipt page by entering your special code on the app. How can I purchase this as a gift for someone else. Hi Kristina, what a great gift idea! I believe that you can specify the shipping address and the billing address separately and have it shipped directly to the recipient. Hope that helps! I moved here from Ireland 39 years ago I have three children and one lives in Indiana and has five children we are military family and we have not been together in over six years and two of the children have never been in utah. They are traveling by car from Indiana as the cost is si expensive .so four days of their trip will be traveling. They really want to show their children where it all began . We have two days we could go up to salt lake as we live 150 miles southwest. Are there any special deals on things we could do July 6th and 7 th or 5th and 6th. Any ideas would be much appreciated. Thank you, Yvonne Spencer.